Today’s Compassion Wednesday post might seem a bit odd, maybe even a bit random. I guess it just stems from where my mind has been lately. Instead of a normal post, I wanted to point to a new page I have up on the site called Relationship Theodicy. While I talk freely about my faith in God and Jesus in my blog, I don’t usually go into deep theological issues. However, I felt a need to post a page about what I had written in seminary concerning the question of God and evil. The page I’ve posted isn’t the entire paper I wrote, but rather the summary of what I developed as my own answer to the question “If God is all powerful and all loving, then why is there evil in the world”? I know many who read this blog do not agree with me. They may not even believe in God or Jesus. That’s all right. If it offends you, I apologize. However, it is what I believe and I do discuss it without regret. I would love to talk about it with you either here, on my facebook page, or via email. 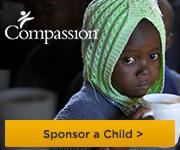 This page goes a long way in giving grounds to the purpose of my Compassion Wednesday posts. It answers a specific question, but it also shows the grounds of what I believe concerning the relationship between God and humanity, humanity toward each other, and humanity toward nature. It is a long read, so I understand if you don’t want to slog through it. However, I hope you do. I hope you read it, and I would love to talk about it with you. I don’t have everything figured out, I don’t know if I ever will. However, I’ll keep asking questions and exploring answers. Thankfully, God is more than willing to listen. Regarding evil. I’m not sure how to explain my view about it. I can only explain it in segments. In Romans, Paul says the law is good because without the law he wouldn’t have known what sin is. Later in another scripture, and you’ll have to forgive me because I don’t honestly remember them all, it is written that the transgression of the law is sin. Another scripture say that the heart is deceitful and desperately wicked. If I understand this correctly then, within the heart lies wickedness and it is sin living within us due to the transgression of the law. But here’s the cool thing: through Jesus’ sacrifice, we are saved and through the shedding of his blood we are God’s, since he wiped away the transgression of sin and has given us a new life, born again. Hopefully, I didn’t go overboard, but I’ll have to come back to this post to read the Relationship Theodicy. Sounds amazing, Russell! You didn’t go overboard. I agree that it is a heart issue, bit I am so thankful for all that Jesus did. It is amazing grace. 🙂 Thank you for your thoughtful comment.